Klook Promo: Say goodbye to physical tickets and get back 5% of your purchase in Klook credits when you buy a Swiss Travel Pass E-ticket! Enjoy the convenience of having the tickets delivered to your doorstep via registered post, free of charge! Need travel inspirations? 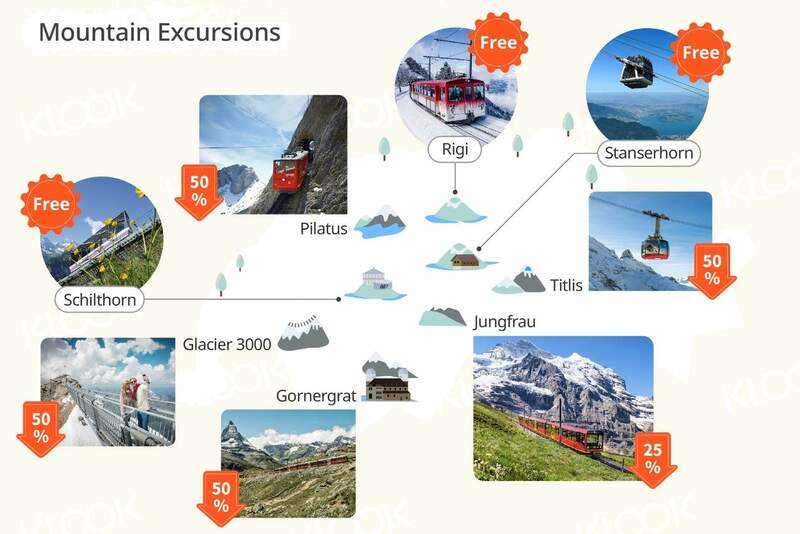 Check out Klook's Swiss Travel Pass Guide and discover the best things to do in Switzerland! The Swiss Pass is really handy and was good to get it beforehand. Saves time getting one in Switzerland. Having a pass saves you the bother of buying tickets each time. However it was advised to get it activated before use. this was a wrong advice and we wasted a few minutes lining up at the counters and later learnt there was no need of activation. Just fill up your passport number and sign. You are ready to go. Would recommend e-version rather then this. Travel all over Switzerland without having to worry about transportation by using the Swiss Travel Pass (Consecutive), which gives you access to unlimited rides on trains, boats, buses, and premium panorama trains across the country! With the Swiss Travel Pass (Consecutive), you won't need to individually purchase all the tickets you require for your travels - simply make your booking on the Klook website/app, then select the date you want to receive your pass via courier. Your pass is valid for 3, 4, 8, or 15 consecutive days, depending on what you've chosen, so you're guaranteed an easy and hassle-free way of exploring the country. 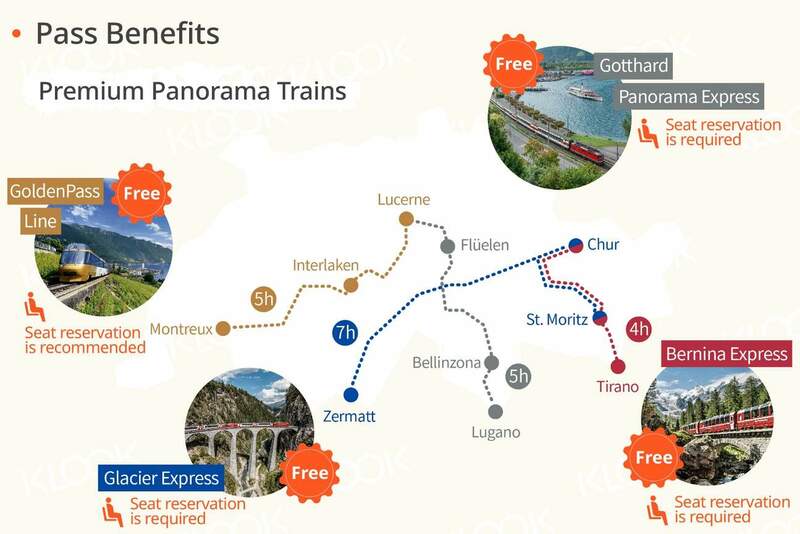 Conveniently travel around Switzerland using just one pass and have the freedom to hit the tracks anytime and at any pace you like, visiting some of the country's most popular destinations such as the legendary clock tower at Bern, as well as the Matterhorn Mountain in Zermatt, which inspired the iconic logo for Toblerone. Not only that, the Swiss Travel Pass comes with added benefits, such as free visits to more than 500 museums and galleries, as well as more discounts on other means of transportation! very nice and easy to use. we go everywhere in swiss land by this pass. just show the pass to staff and do nothing. you can also go to Museum by free. very nice and easy to use. we go everywhere in swiss land by this pass. just show the pass to staff and do nothing. you can also go to Museum by free. Great saving travel pass instead and experienced the fun ride without hassle. Great saving travel pass instead and experienced the fun ride without hassle. 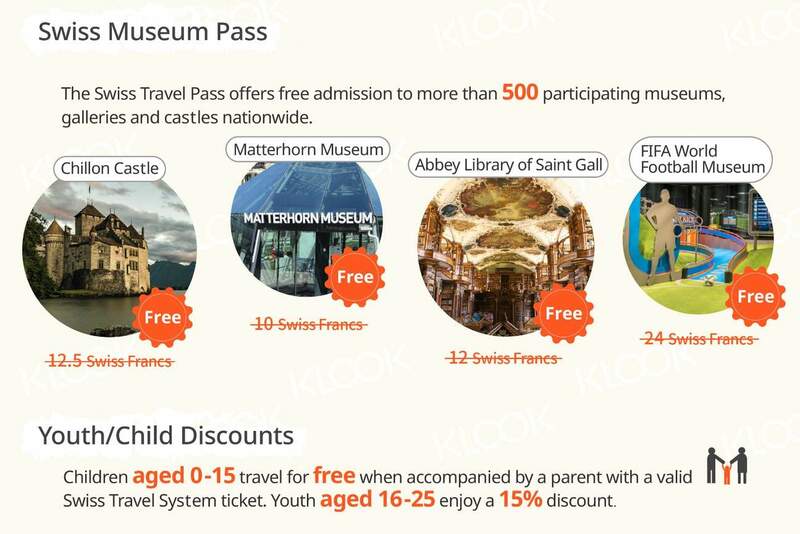 Compared prices with the original Swiss pass website and found klook’s Swiss pass is cheaper due to 12:12 promotion. It was very convenient to order from home and had Fast delivery via a courier and tickets came as prescribed. On top of that, klook gave some freebies and they would be so useful to my trip! 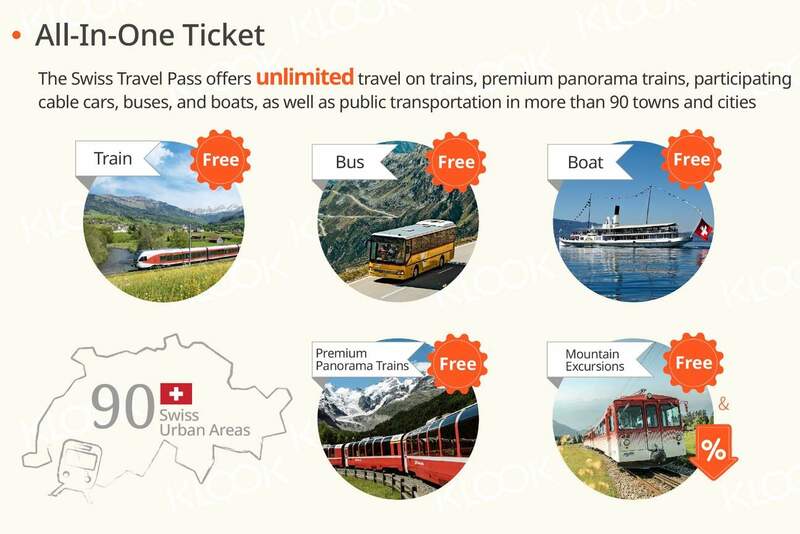 Compared prices with the original Swiss pass website and found klook’s Swiss pass is cheaper due to 12:12 promotion. It was very convenient to order from home and had Fast delivery via a courier and tickets came as prescribed. On top of that, klook gave some freebies and they would be so useful to my trip! Fast delivery and easy to use. Simply show the ticket inspector your rail pass and passport (for regional route) - no validation required. Pass does not cover some routes in Jungfrau region like Grindelwald First / Jungfraujoch. Fast delivery and easy to use. Simply show the ticket inspector your rail pass and passport (for regional route) - no validation required. Pass does not cover some routes in Jungfrau region like Grindelwald First / Jungfraujoch. Online website is easily accessible. The platform is user friendly and take a few steps to put in order request. The delivery service is also efficient within a week and we received all the relevant travel documents. Online website is easily accessible. The platform is user friendly and take a few steps to put in order request. The delivery service is also efficient within a week and we received all the relevant travel documents. Convenient and very easy to use! Travelling is made easier with the travel pass and we didn’t have to worry about missing a train or bus! Convenient and very easy to use! Travelling is made easier with the travel pass and we didn’t have to worry about missing a train or bus! Very easy to use and klook is very kind to also offer an adaptor for our trip. Very easy to use and klook is very kind to also offer an adaptor for our trip.